Rajasthan BSTC Result 2019 shall be announced by the 01st week of June 2019. The result for Rajasthan BSTC 2019 will be announced by NCTE. The candidates will be able to check their BSTC 2019 Result online at the website, bstc2019.org. The BSTC Result will be available in the Student Login only. To qualify the Rajasthan BSTC 2019 entrance exam, the candidates need to obtain minimum cut off marks as decided by the exam conducting body. 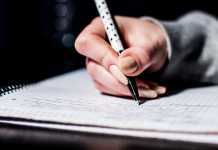 The result is prepared on the basis of the marking scheme of the entrance exam. For a correct answer, 03 marks are added and there is no negative marking for incorrect answer. 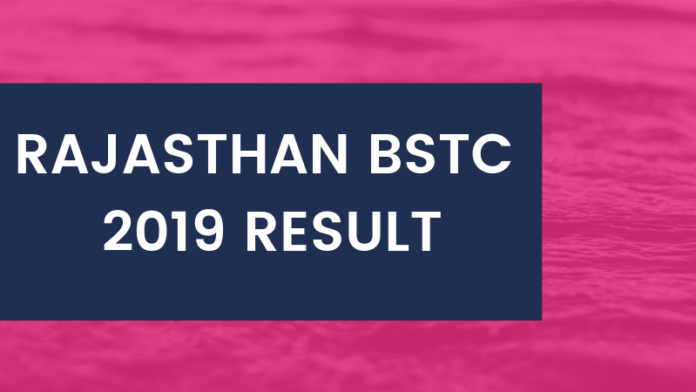 Read on more details on Rajasthan BSTC 2019 Result from this page. The result for Rajasthan BSTC 2019 entrance exam will be available for check by online mode only. No hard copy of the result is going to be sent to the candidates by post. The candidates can check the complete schedule for the declaration of Rajasthan BSTC 2019 Result from the table below. Check Result Here: The candidates will be able to check their Rajasthan BSTC result 2019 as per the due schedule from the website, bstc2019.org. Read the article below to have general details about Rajasthan BSTC 2019 Result, cutoff, counselling, and more. Rajasthan BSTC 2019 Result Name Wise. Check Here. BSTC 2019 Cutoff – Click Here. 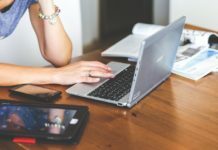 How to Check Rajasthan BSTC 2019 Result? Firstly, the candidates need to click on the link which will be provided on this page for checking the result. Next, the candidates will see five options by which they can log in and check their result. The various options are – by form number, by token number, by roll number, by general details, and by mobile number. Choose any one of the options and enter the relevant details. Submit the details and then in the next screen, the candidates can check their result. Candidates are advised to download and save a copy of Rajasthan BSTC Result 2019. It might be needed in the future. The cutoff of BTSC will be used to delimit candidates. The below-given cutoff is of the previous year. Candidates may check it for general information. The cut off for Rajasthan BSTC 2019 will be updated here after the declaration of result. After the declaration of BSTC 2019 Result, the candidates who qualify the entrance exam will be then eligible to participate in the BSTC Counselling 2019. There will be two (02) rounds of counseling. However, if the seat remains vacant then the 3rd round of counselling will also be conducted. During the counseling, the candidates will be allocated seats on the basis of their merit in the entrance examination. 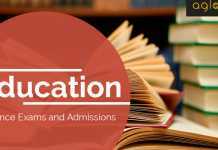 Candidates will have to attend the counseling session on the scheduled time and date to in-person finalize their admission in their desired college or institutes. At the time of counseling, the candidates also need to carry the relevant documents in proof of their age, educational qualification, reservation, etc. hi laxman can you just tell me how can I help you. No rechecking is not available in this . yes you can use your cheque if the candidates doesn’t have cheque book. yes you can use your father’s cheque. hey there it may be possible that you get the college this year but still you need to wait for the merit list which is going to be released soon.Hope for the best. well it may be possible that you will get the college.